A look at different views from the Field Box seats at Dodger Stadium. 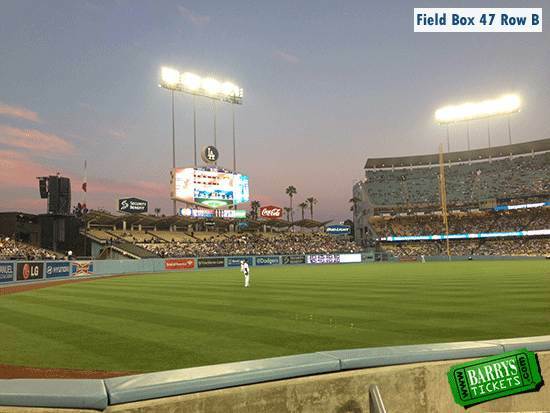 Field Box Tickets for Dodgers games can generally start around $17.00 for outfield field box seats and go up to over a hundred per ticket behind home plate depending on who the Dodgers are playing or if its a promotional giveaway night. You can purchase Field Box Level Dodger Tickets for all games. Field Box Section 47 is great for the right handed pull hitter driving the long ball just off the foul pole or the close up action of watching the left fielder going to the warning track or coming to you to catch a foul ball. DODGERS TICKETS $5.00 and Up! Pingback: Where are shaded seats at Dodger Stadium for a day game? Pingback: Dodgers Tickets Discount Code Get 10% Off Your Order Now! Pingback: How much are Dodgers Ticket prices at Dodger Stadium? Pingback: Do you Know your LA Dodgers Managers? 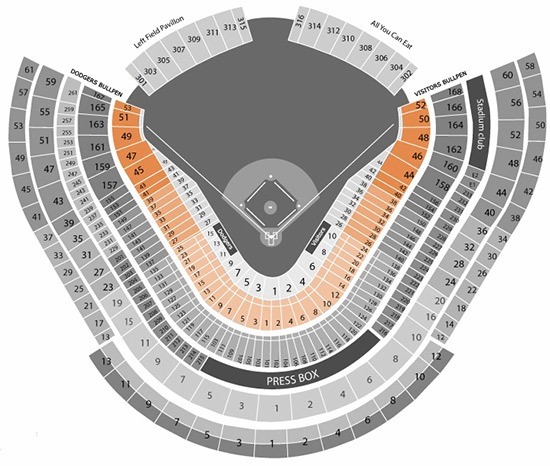 Pingback: Los Angeles Dodgers Tickets Promo Code Save Today!